When the Bethesda location opens next spring, it will be the third small-format store in the D.C. area. WASHINGTON – Discount retailer Target has picked Bethesda, Maryland, for another of the company’s small-format stores. 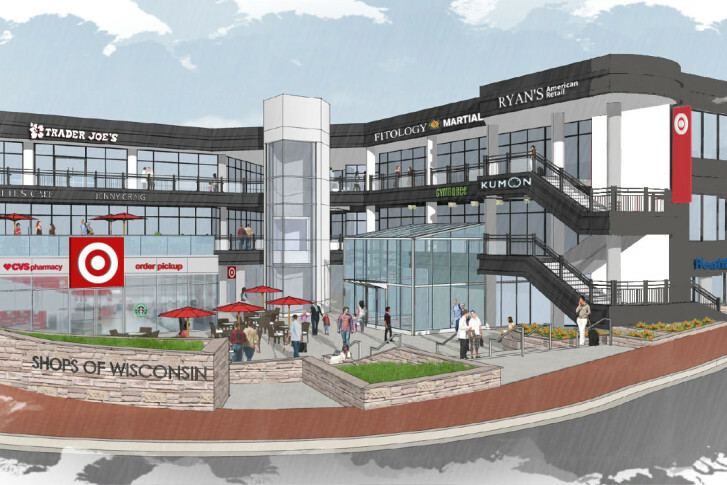 The 35,000-square-foot Target will open in the Shops of Wisconsin development in March 2017. The store will include a “tailored product mix,” including groceries, clothing, home goods and a pharmacy. Over the past year, Target has been experimenting with smaller stores in urban locations. “Target is focusing on expanding into more urban and densely populated city centers,” said Mark Schindele, senior vice president of properties for Target. The flexible-format stores, generally less than a quarter of the size of its traditional, suburban stores, are a priority for Target. The smaller size allows the company to open locations in areas that can’t accommodate its larger stores. Target opened its first flexible-format store in the D.C. area in College Park last summer. That location is heavy on dorm room furnishings and goods that cater to the college shoppers in the area. Last fall, the company opened a flexible-format Target in Rosslyn, Virginia, that includes grab-and-go grocery items. Target currently operates 19 flexible-format stores nationwide and plans to open another 26 of them by 2017.